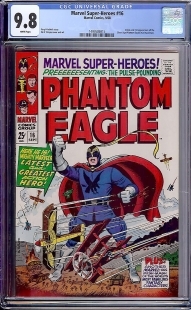 New CGC 9.8 Bronze Age Consignment in Pedigree Comics' May Grand Auction! 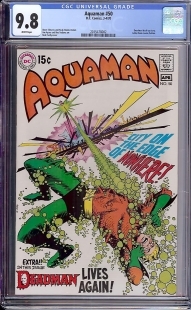 We recently acquired on consignment a group of almost all 9.8 Bronze Age Marvels and DC's for our upcoming May Grand Auction. 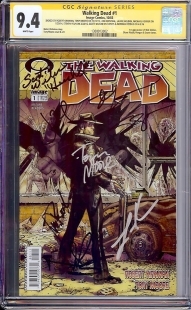 The auction is scheduled to begin in just over three (3) weeks, on the night of Monday, May 20th and last for ten (10) days until the night of Thursday, May 30th as a separate event on the Pedigree Comics website (www.PedigreeComics.com). There is no Buyers Premium on any of the lots in the auction and many of the listings will have no reserve. 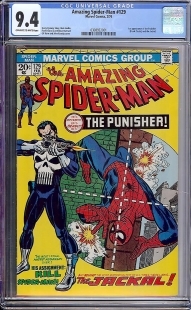 Every book is CGC graded and the minimum bid is only $100 for this Grand Auction. 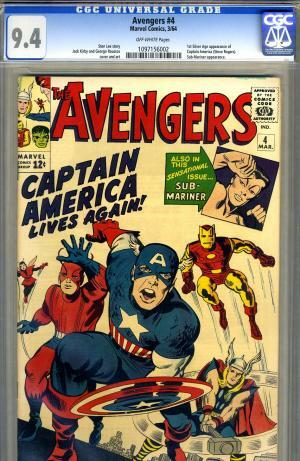 You can view over 160 high grade Marvels and DC's in the Auction Preview right now. 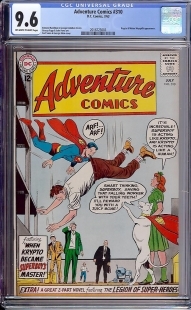 Just go to the Pedigree Comics website and click on the Auction banner. 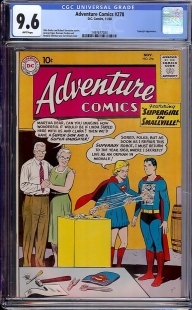 If you have high grade CGC or CBCS certified comic books to sell or consign, do yourself a favor and contact Pedigree Comics' CEO and President, Doug Schmell. Please go to the site (www.PedigreeComics.com)and read the following for all consignment information or contact him directly at (561) 422-1120 or (561) 596-911 or by email at DougSchmell@pedigreecomics.com. We are still accepting consignments for the May Grand Auction and will continue to do so until the night of Wednesday, May 22nd. The sooner you consign your books the more exposure they will receive. We Aggressively promote and advertise each auction and send periodic newsletters to all of our over 24,000 customers announcing the auction items. We also offer generous cash advances for quality consignments so check the site for consignment instructions and get your books in now. 2. 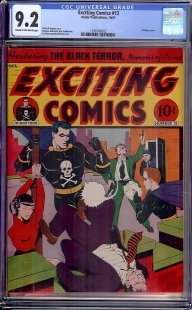 Email the scans of the books you wish to consign directly to us at DougSchmell@pedigreecomics.com. 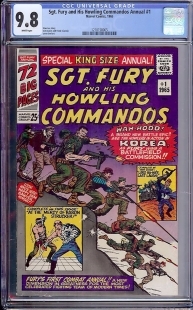 We will format and upload each scan onto our server and then put each book into the Grand Auction listing. Please use a .jpeg format with the resolution set at 72 and the pixel width at no more than 1200 for optimum clarity. If you do not have a scanner you can use a digital camera. 3. You can upload your own scans, item information, book descriptions and reserve amounts, if any, by utilizing our Automated Consignment System. 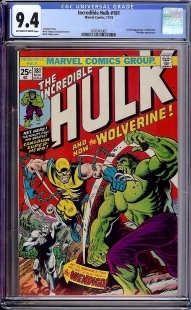 Just register onto the site (www.PedigreeComics.com) and login, click the “Customer Page” tab under “Your Account” and then click “Consignments” (under the “Auctions” heading). You will then be able to enter the Pedigree Comics Consignment Management System and list your own CGC and CBCS certified books. You will receive an email once you have uploaded the scan and book information for each individual item into the system and we will then review the information imparted for accuracy. The item(s) will then be added to the Grand Auction listing to be bid on. You will be amazed how simple it is to use the Automated Consignment System. If you have any questions or comments about the consignment process, any of the auction lots or about the May Grand Auction in general, please contact Mr. Schmell at (561) 422-1120 (office) or (561) 596-9111 (cell) or at DougSchmell@pedigreecomics.com. For any financial related and consignment payment questions, please contact our CFO, Lisa Shapiro, at LisaJoy@pedigreecomics.com and for any technical related questions or concerns, please contact our Web Master at WebDesigner@pedigreecomics.com.